Excerpt from Urban Farming by Thomas J. Fox with permission from its publisher, Hobby Farm Press, an imprint of BowTie Press. Purchase Urban Farming here. Do you know your cloths? 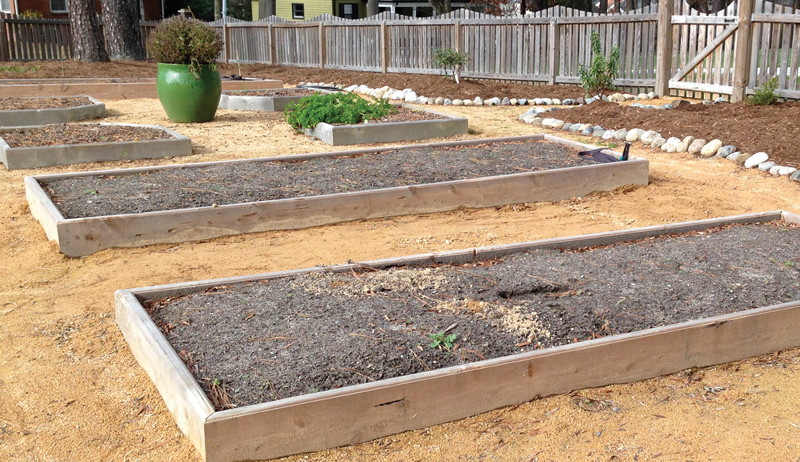 Urban farmers use two types of cloths: landscape cloth and hardware cloth. Landscape cloth is also called landscape fabric or weed barrier. Landscape cloth is a strong, tightly woven material often used in gardening. Its main virtue is that it lets air and water through, while physically blocking the development of unwanted plants from below, and sometimes blocking the roots of desirable plants from above, as when it is spread over contaminated ground beneath a raised bed with fresh soil. Biodegradable versions of landscape cloth have more of a plastic feel and should dissolve within a season or two. A primary use of landscape cloth is to suppress grass if you’re building a raised bed directly on top of the lawn. The regular landscape cloth will probably suppress the grass better — and certainly for longer — but it will also prevent the roots of your crops from reaching below the level of the raised bed. Biodegradable landscape cloth will not do quite as good a job suppressing grass, but it will give you a head start, allow roots to head down deep into the soil and provide a bit of fertilizer. Hardware cloth is something entirely different. Hardware cloth is wire mesh. In urban farming, it is employed primarily for construction that needs to let air in and keep pests out. Urban farmers have used hardware cloth in animal pens and compost bins. Thomas Fox is a full-time writer, part-time gardener, and sometime urban farmer. He is the author of Urban Farming: Sustainable City Living in Your Backyard, in Your Community, and in the World (Hobby Farm Press, 2011).